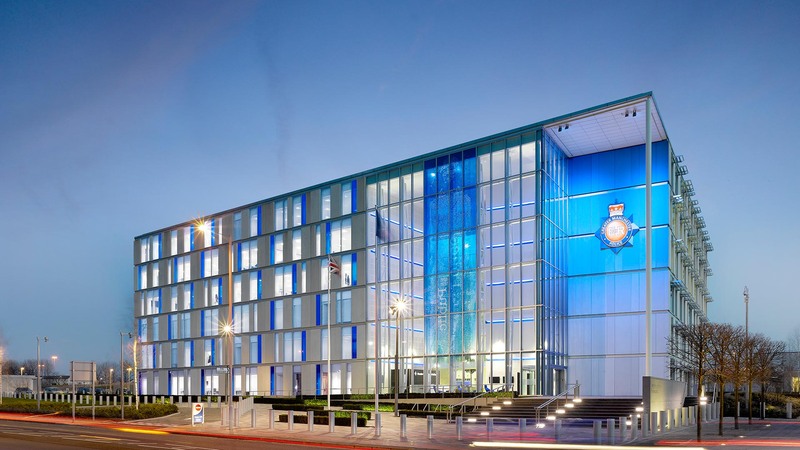 LOCATED WITHIN CENTRAL PARK, THE NEW BUILDING CREATES A MODERN, STATE-OF-THE-ART CORPORATE WORKPLACE ELEVATING GREATER MANCHESTER POLICE TO A WORLD-CLASS LEADER IN BUSINESS AS WELL AS LAW ENFORCEMENT. 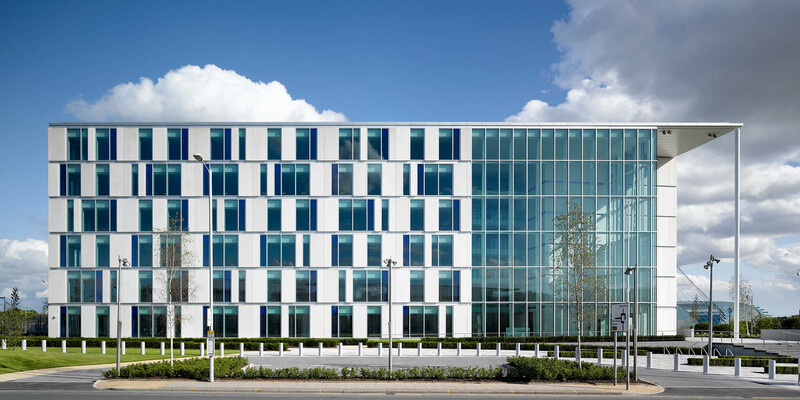 Working with Ask Goodman Developments Ltd and in response to detailed discussions and workshops with Greater Manchester Police, the practice designed the 22,300m² office to respond to complex inter-department relationships and operational aspirations. 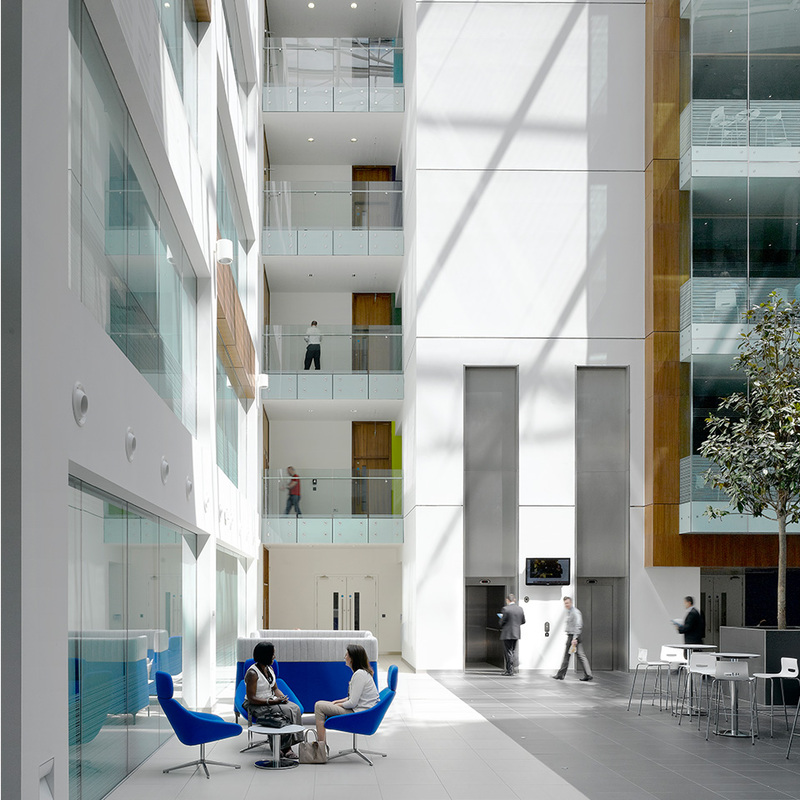 The six-storey stone and glass building offers a bright and open atmosphere that is inviting to both staff and visitors. It promotes and encourages new ways of working, supporting advancements in operational policing and provides an environment conducive to improving efficiencies whilst remaining at heart a secure and robust facility. 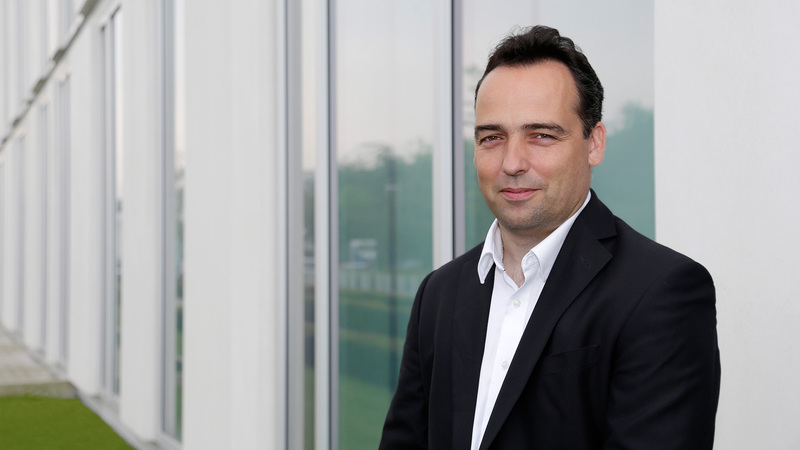 The Headquarters form a vital component in the future growth of one of the largest regeneration developments in Manchester and it is hoped will act as a catalyst for further sustainable investment in the area. 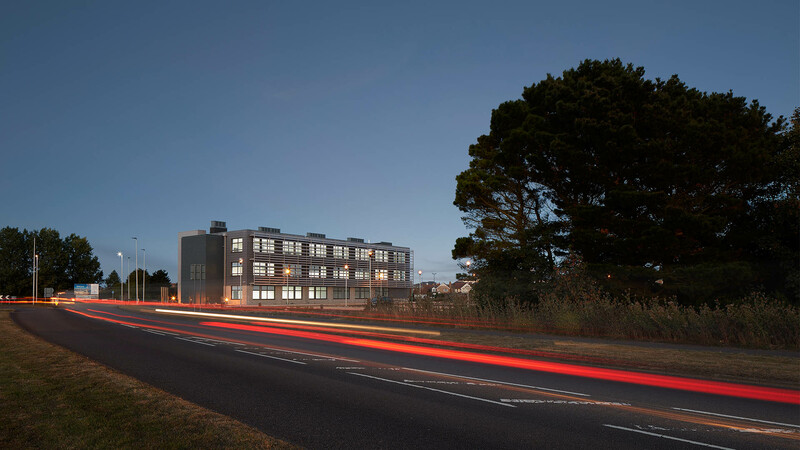 At the heart of the design process the aim was to ensure that the arrival at the building, movement through the building and the quality of the finishes were dramatic, inspiring and welcoming. 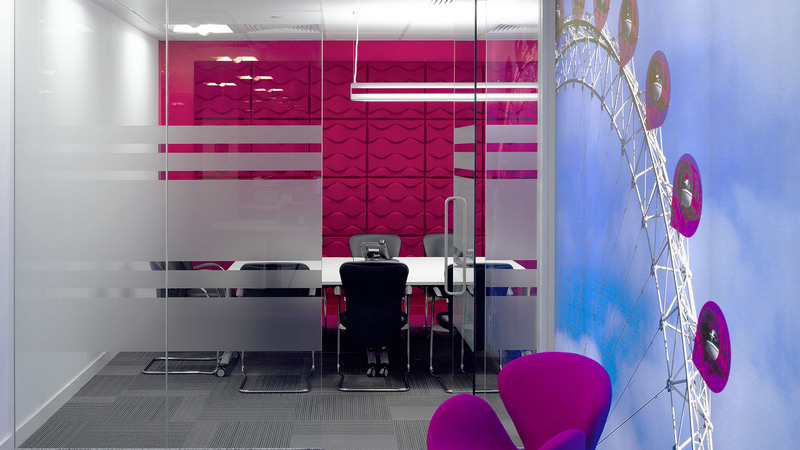 The team achieved this by developing a rich and vibrant colour palette, incorporating the client’s brand colours, and an “icon” theme unique to Greater Manchester Police. Six iconic people represent the different floors symbolising the values, beliefs and achievements admired by the police and community and also serve to facilitate way-finding. 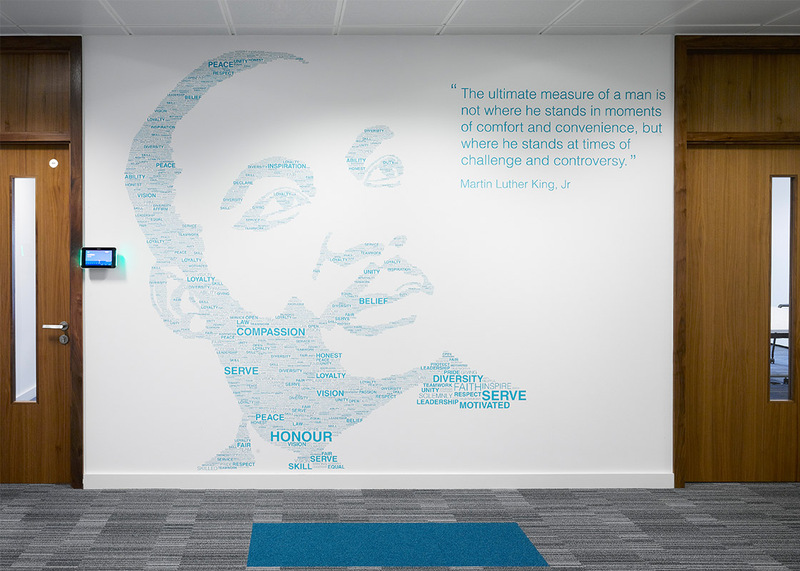 Typographic artwork was created by making the icon faces from keywords representing the ethos of Greater Manchester Police Force. 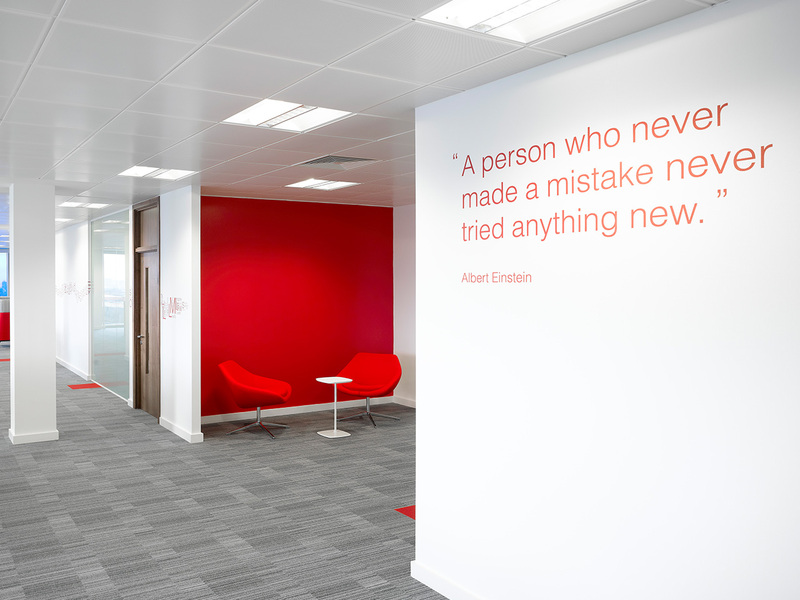 Quotes from well-known politicians, sportsmen, businessmen, authors and musicians are also used throughout the building to give colour and inspiration.